The largest Go programming language conference in Southeast Asia is back! Check out what happened in previous years! Copyright © GopherCon Singapore 2019. 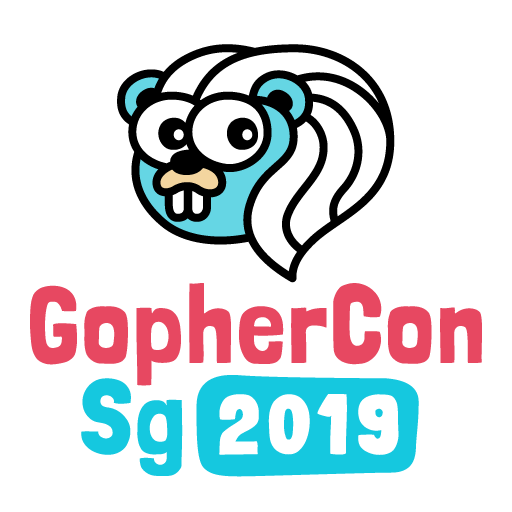 GopherCon Singapore is run under the auspices of the CU Society (UEN: T18SS0020F). Interested in becoming a partner? Get in touch! We offer refunds for all requests made before Monday, 15 April 2019 (end-of-day Singapore time). There will be a 10% fee for all refunds to cover ticketing and payment processing costs. If someone makes you or anyone else feel unsafe or unwelcome, please report it as soon as possible by emailing hello@gophercon.sg, or by speaking to a member of the conference staff. Conference staff will be wearing badges with the label “Organiser”.